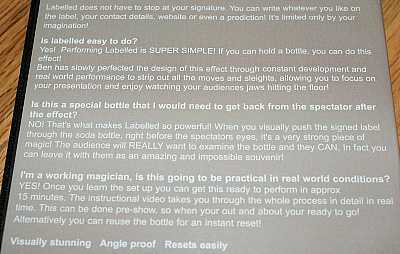 Labelled -- (Ben Williams) -- label thru bottle! Labelled DVD -- Ben Williams. Check out the photo of DVD case for effect and details. Only one in stock, this one has been viewed, but is otherwise in excellent condition.